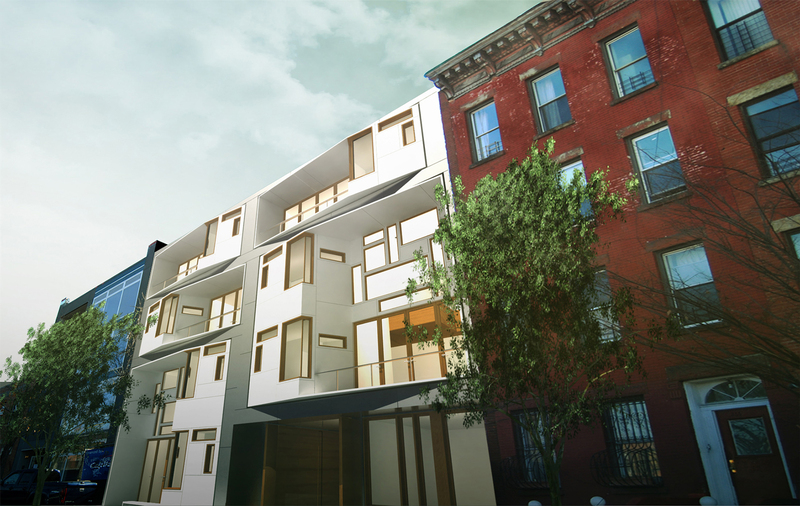 In 2011 OPerA Studio completed this zoning and design study for a site in Prospect Heights. 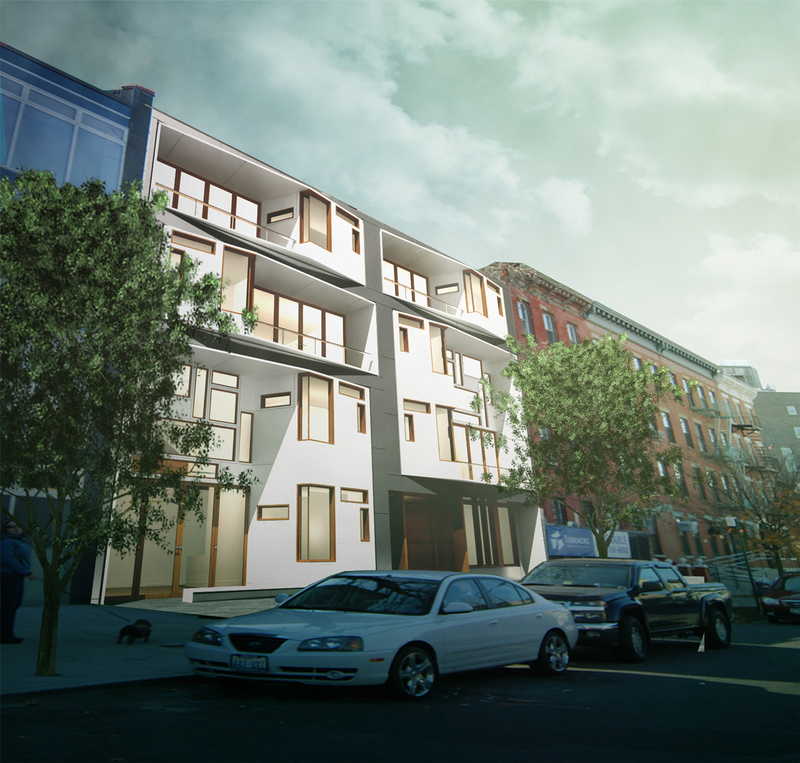 The R6B zoning permitted a maximum 40 foot street wall and a maximum 50 foot building. 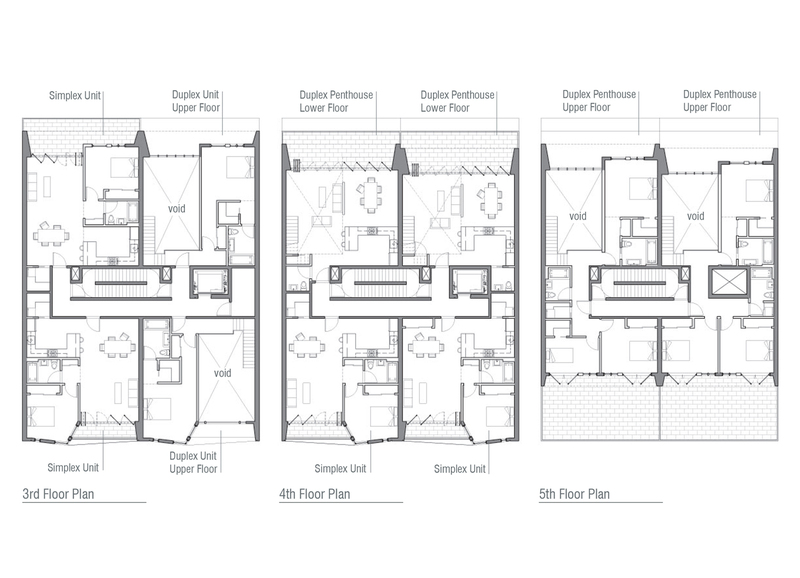 These parameters implied a contextual relationship with adjacent townhomes. 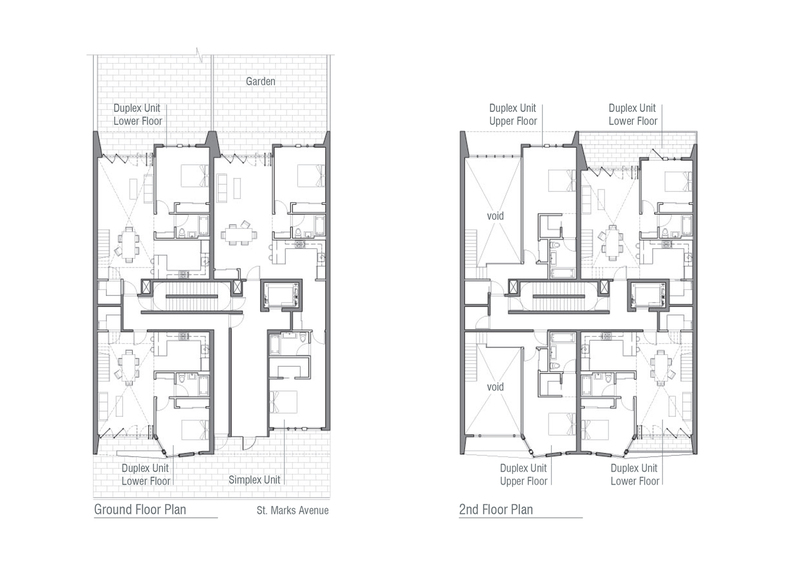 The site is a combination of two typical 27′ wide townhouse lots. 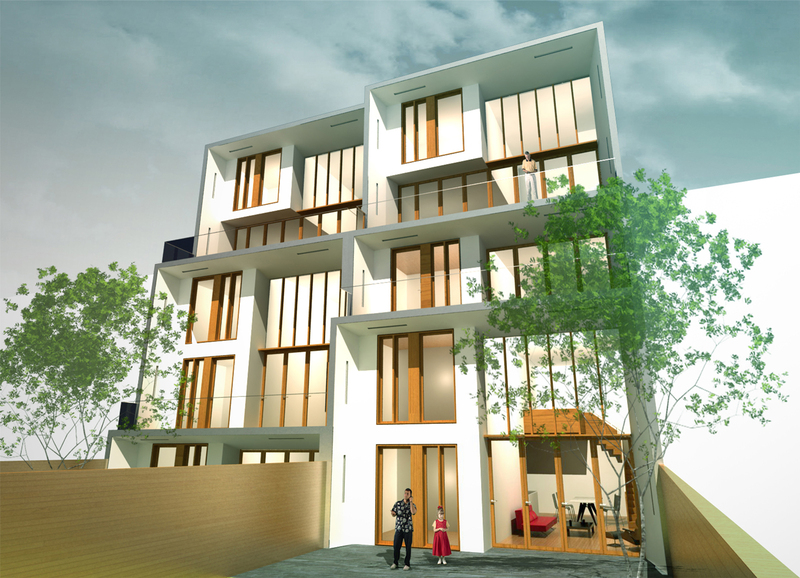 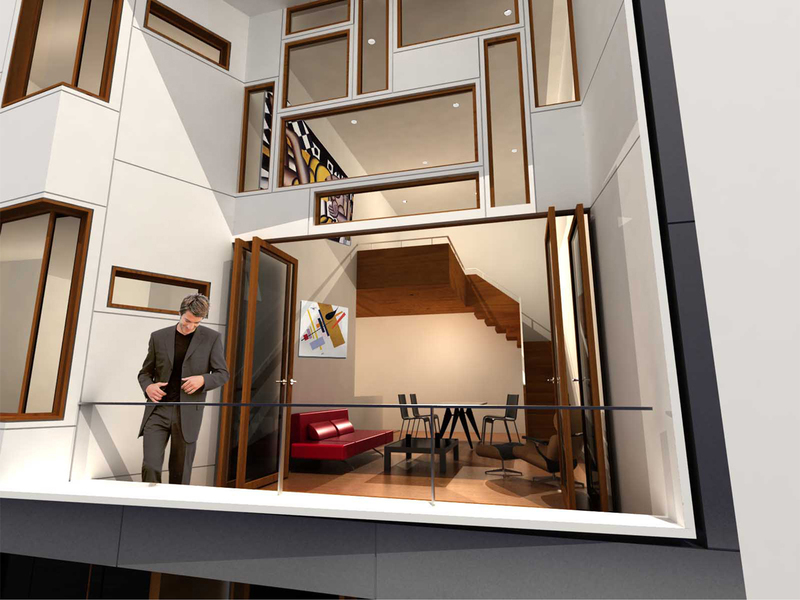 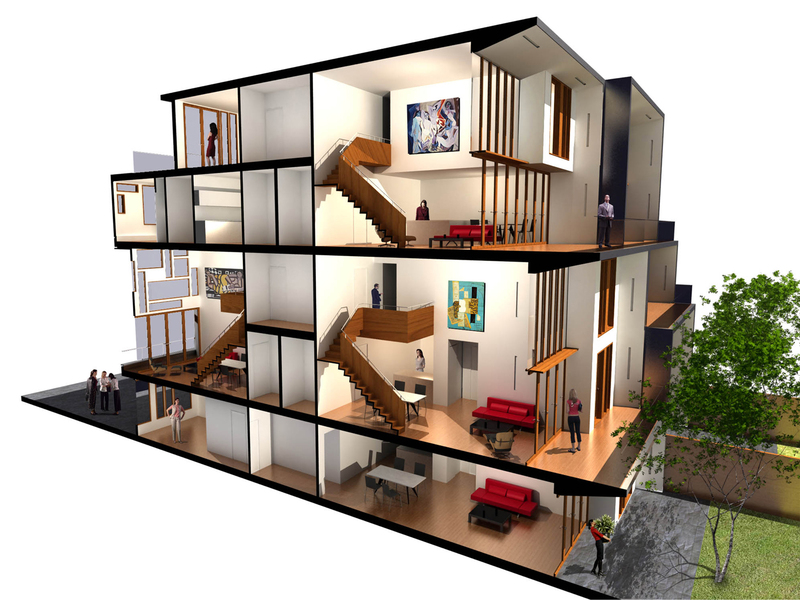 Therefore, the building is articulated as a stacking and side-by-side placement of multiple simplex and duplex units, each the width of a typical townhouse. 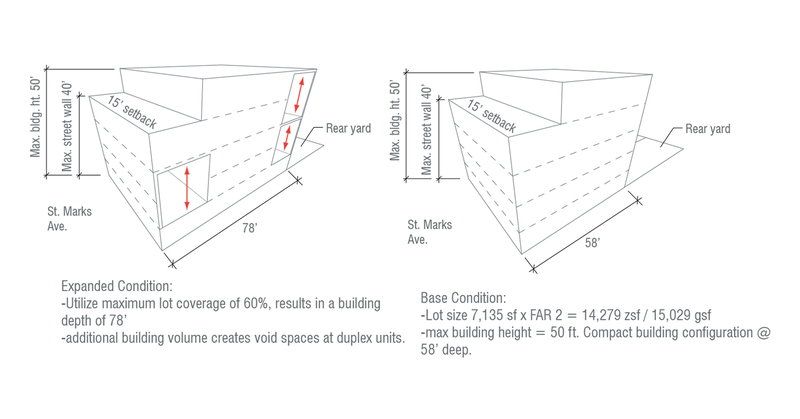 The zoning’s lot coverage and height allows for a building volume that is significantly larger than that allowed by the F.A.R. 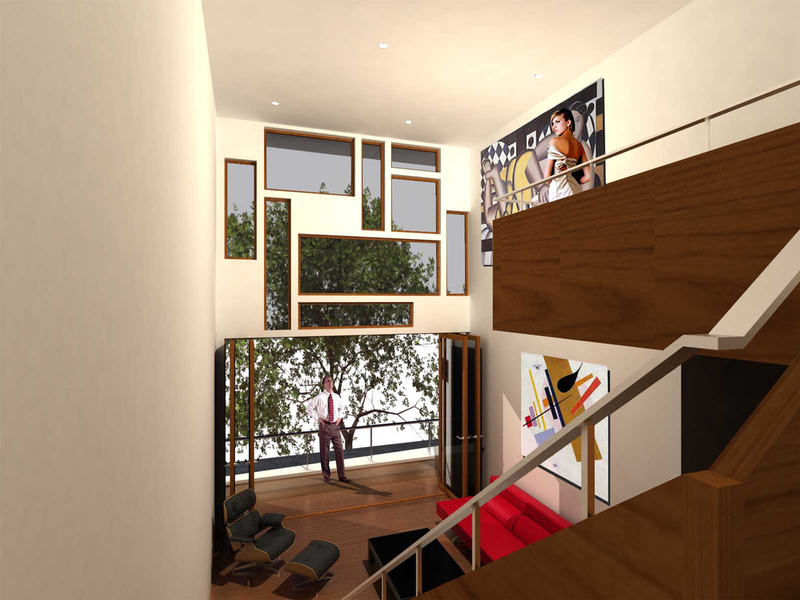 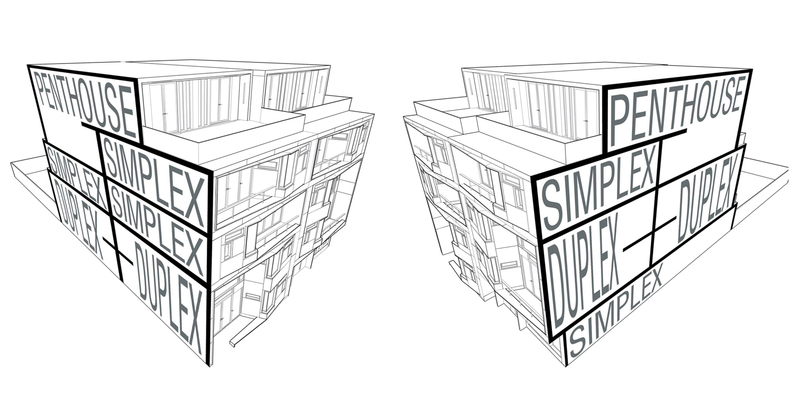 This extra volume is taken advantage of to create multiple duplex units with double height spaces. 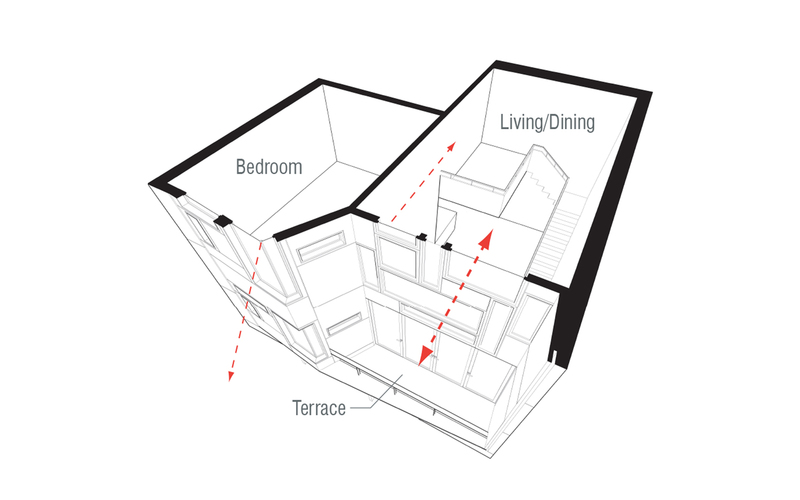 Each street facing unit’s facade is articulated by a single folding wall surface, pushed out at the bedrooms to create a bay window effect, and simultaneously is pushed inward to create a terrace, continuing the space of the living area.